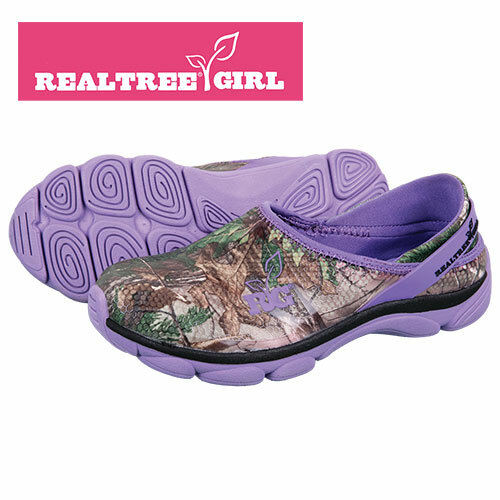 Casual slip-on styling for her with memory foam comfort and genuine Realtree camo! These are some of the most fun and comfortable women's shoes we've ever sold. They're ideal for life indoors and out and have flexible Realtree XTRA green camo uppers that stretch and conform to your feet for a custom fit. And to provide the ultimate comfort underfoot, they have a premium memory foam footbed that molds to your feet and an ultralight cushioned EVA outsole for shock absorption and sure footing. Color: Purple/green. Womens size 6.